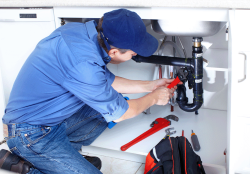 Focus on our core business, which is to provide plumbing, gas, hot water, and drainage services to the San Francisco Bay Area. Establish business relationships based on two-way trust, co-operation, and teamwork, to the ultimate benefit of the company’s clients, employees, suppliers, and owners. Show tolerance and respect for all persons we come in contact with, including their age and gender, their beliefs, their property, and possessions. Work co-operatively to provide a consistently high standard of work using our best endeavors to fix the job first time, every time, by implementing best practice while complying with regulations, standards, and manufacturers’ requirements, and being ever mindful of safety and health practices to the mutual satisfaction of the client. Acknowledge the importance of developing and/or maintaining open and meaningful lines of communication with clients, workmates, suppliers, subcontractors, and authorities, and being prepared to resolve disputes together in an open and timely manner, thereby avoiding adversarial confrontation and litigation. 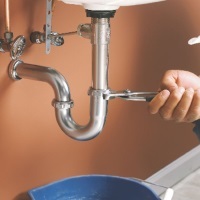 No rush jobs or cut corners thereby jeopardizing safety, thoroughness, or quality. By the same token, we will not take longer than is necessary. Endeavour at all times to work in a safe, hygienic, clean, and tidy manner and leave every job at least as clean and tidy as initially found – if not more so. Strive for all paperwork (including, but not limited to: invoices, warranty documents, permits, quotes, building inspection checklists) to be legible, comprehensive, accurate, and intact. Strive to make a fair and reasonable profit at a just price. 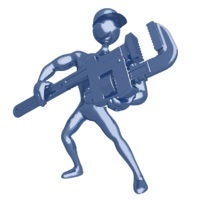 Contact us today for any plumbing service, repair, or new installation.